RM-3 Episode One shines a light on zinc, the hardworking, versatile metal that always has your back. We're thrilled to announce RM-3 (Raw Materials 3 Ways), a new podcast hosted by architect and Dwell contributor Dan Maginn of DRAW Architecture. In this series, we investigate what Dan calls "the stem cells of architecture"—raw materials like "birch trees, or rusty rocks, or slow footed brontosauruses, long dead, long squished into ribbons of dark carbon." In each episode, we'll reveal how a single ingredient, processed in three different ways, is transformed into three markedly different materials. 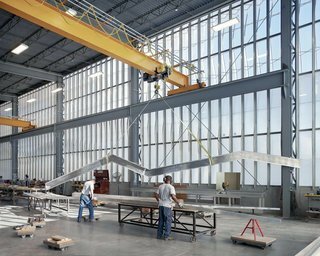 Founded in 1897 and family-owned for four generations, A. Zahner Company in Kansas City, Missouri, produces highly crafted, architectural metalwork. Above, we glimpse the interior of the headquarters, designed by Crawford Architects. Zahner engineered and produced the undulating ZEPPS facade of curving aluminum fins and ribs. 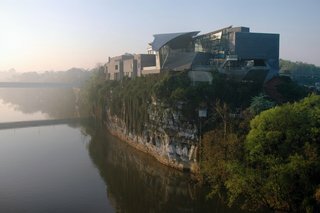 Zahner's first project with Randall Stout Architects, the Hunter Museum of American Art perches on an 80-foot bluff above the Tennessee River in Chattanooga. Zahner produced the geometric zinc metal surface, the Angel Hair stainless steel roof forms, interior stainless steel railways, and metal details throughout. Fayetteville, Arkansas–based Marlon Blackwell Architects thinks outside the box. 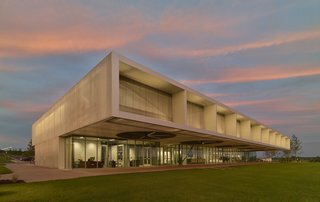 For the Shelby Farms Park Visitor Center in Memphis, Tennessee—located in the largest urban park in the U.S.—the firm brought together buildings, lake, and landscape through a common material palette. The aluminum bar grate cladding the building references the architecture of agricultural structures while allowing air to enter. 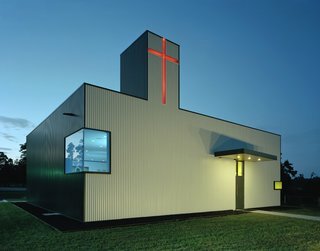 Marlon Blackwell Architects converted a generic shop building in Springdale, Arkansas, into the St. Nicholas Eastern Orthodox Church. Grounding the structure to its roots, parts of the existing building are left exposed, while the exterior skin of box rib metal panel is a nod to local, industrial forms. 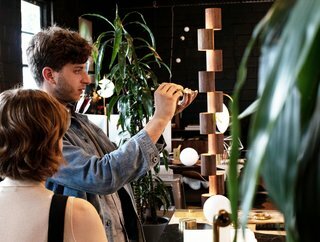 New York–based design and manufacturing studio Allied Maker was started by Ryden Rizzo in 2012, operating out of a garage woodworking studio on Long Island. A year later, then-neighbor Lanette entered the picture, and the new couple and creative duo went on the build the dynamic studio we know today. 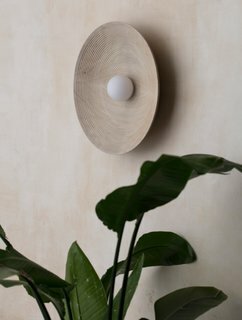 Expertly crafted from American hardwoods and brass, the Concentric wall- or ceiling-mounted light is a testament to Allied Maker's mastery of precision and detail. "I love how the light plays in the waves of the material," says Lanette. "A lot of our composition has to do with how light is thrown from the object and plays with its environment." RM-3 is produced by Jonna McKone and Jenny Xie, edited by Jonna McKone, and hosted by Dan Maginn. Special thanks to our guests Bill Zahner, Marlon Blackwell, and Lanette Rizzo. Our theme music is by Slag Ralden, with additional scoring from Dave Merson Hess and Foghorn String Band.